SAP Ariba Snap reduces the time and cost to transform inefficient and out of date source to pay processing. It is a new pre-packaged solution which has been configured with best practice functionality to allow organisations to automate and streamline how they order from and transact with their suppliers. It provides all the key functions an organisation requires to secure process and procurement savings but at a fraction of the cost and time it has historically taken. SAP Ariba Snap offered by ExceleratedS2P is a highly affordable, fast time-to-value procure to pay solution using the latest technology on the market, which will help you keep up with your competition by automating historically time-consuming and low-value tasks. 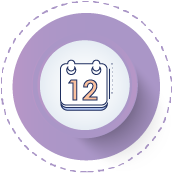 Certainty of outcome – rapid deployment within 12 weeks at a fixed price. Lower risk – pre-tested with no customization and proven integration. Lower total cost of ownership – lower implementation cost as a pre-built, pre-tested, leading cloud-based offering. Faster delivery –pre-configured templates based on best practices. A simple guided buying experience for all end users, one place to buy goods and services – an “Amazon” or “eBay” type of shopping experience. Increased spend compliance and adoption of preferred suppliers, contracts, policies and pricing – to reduce or completely eliminate leakage. The 3 Bids and a Buy feature – when the consumer does not find the appropriate article in the catalogue, they have the opportunity to initiate an invitation to tender and to contact three suppliers. Still not sure SAP Ariba Snap! solution is right for you? Previously SAP Ariba cloud solutions have mainly been used by large enterprises who had the resources to implement them. With the SAP Ariba Snap solution, mid-market companies and high-end SMEs can find a solution which is tailored to meet their needs and their resources. The solution is designed to target companies with an annual purchasing spend above EUR 50 million. 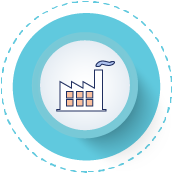 The solution can be integrated to all the leading ERP systems. 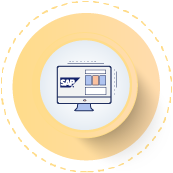 Remember, SAP Ariba SNAP can be implemented in as little as 12 weeks and so offers a convincing proposition with a reduced time to payback on the project costs.